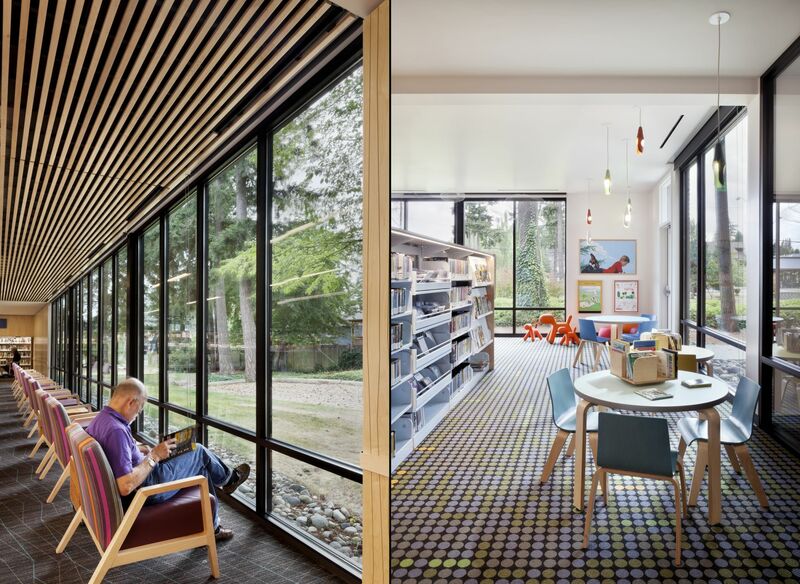 The transformation of a 1970s-era library building into warm and light-filled gathering space shaped by community needs and desires. 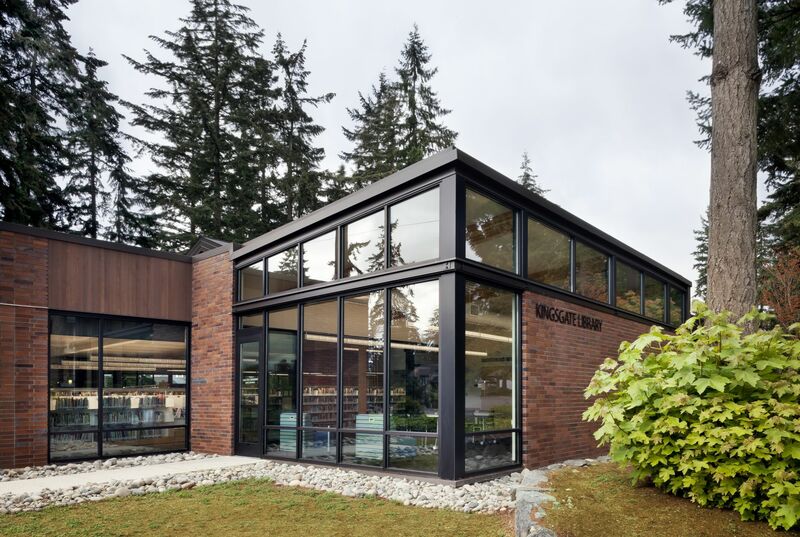 Kingsgate Library is a well-loved neighborhood Library that was originally considered a good candidate for “tear down and replace”. 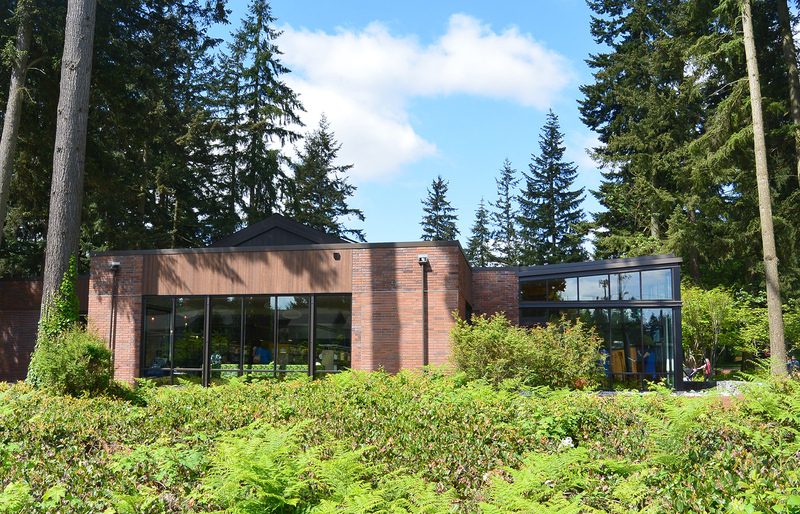 However, based on budget constraints, and strong input from its diverse northeast suburban Seattle community, the decision was made to re-model the existing facility instead. Our best public places are the ones that effectively engage the community in shaping their buildings’ future by sharing their hopes and dreams. 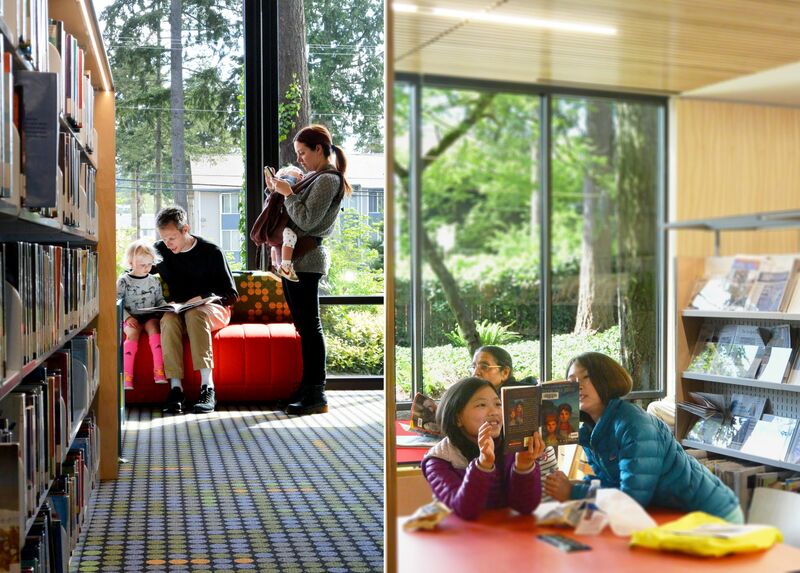 The highest priority for this community library was to maximize services to children. 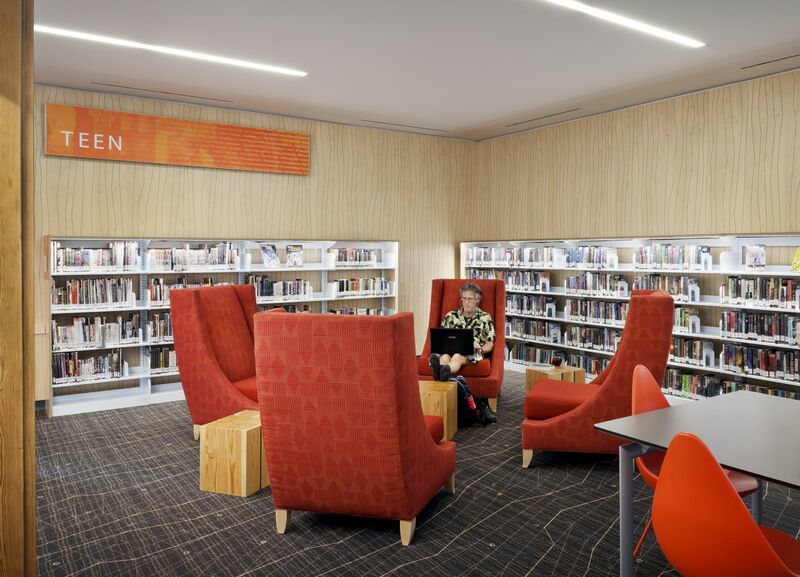 At the heart of the remodel is the expanded children’s area that provides dedicated computer space and showcases the library’s treasured five-panel mural by Ann Gates Fiser. 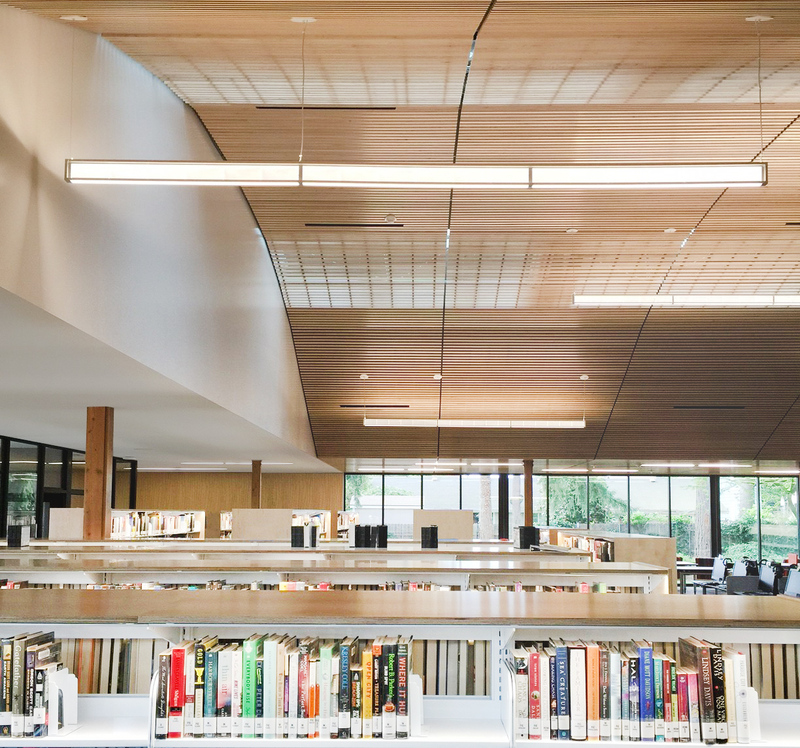 The most striking transformation is the creation of a slatted-wood vaulted ceiling, reconstructed from ash-colored wood beams beneath skylights, that gently fills the library with natural light. The new teen area is relocated to the opposite side of the library to respect each group’s sense of identity. 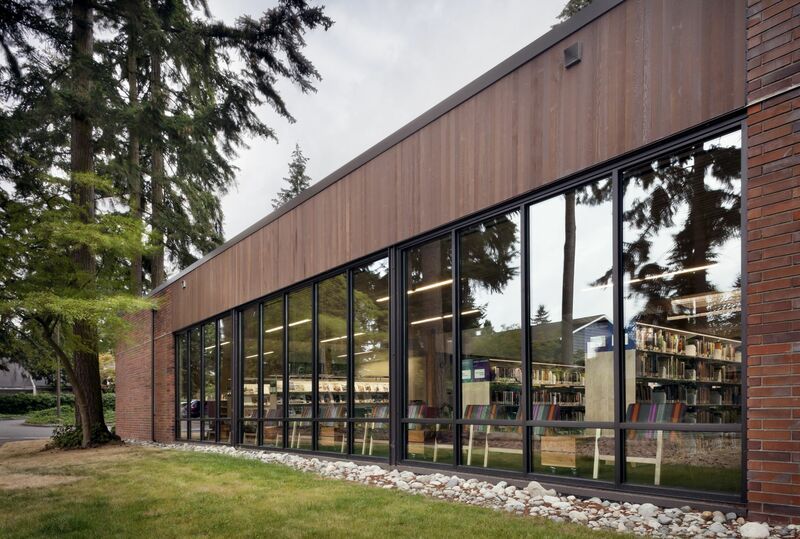 We moved the main entrance and introduced more floor-to-ceiling windows to strengthen the connection to the building’s natural, wooded setting. 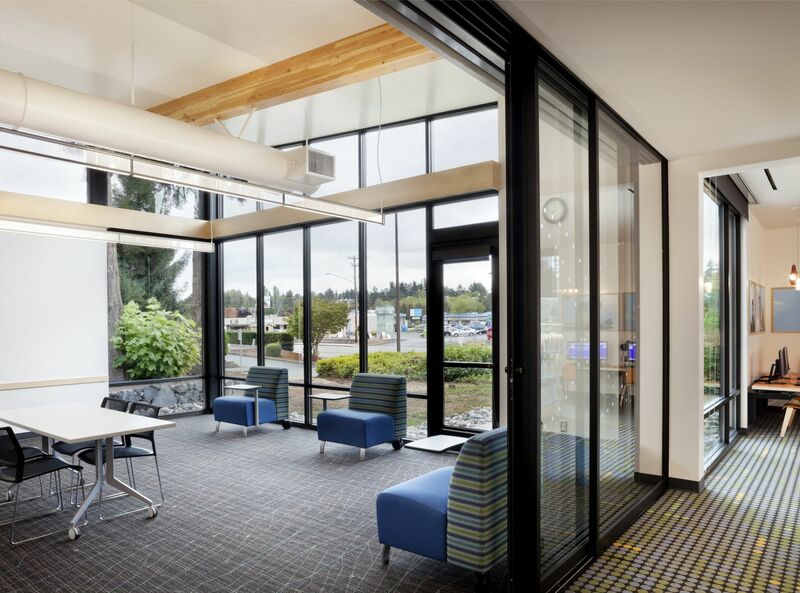 To provide the community with more flexibility we added two new study rooms and redesigned the large glass community meeting room to provide increased usable library space when meetings are not in session. 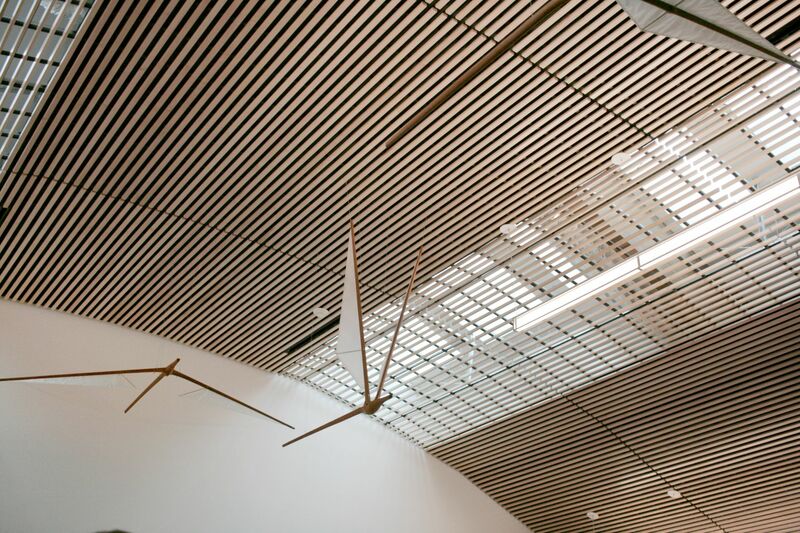 Respecting the building’s role in a 21st century education we completely rebuilt the building’s HVAC, electrical, and technological systems to make it more energy-efficient and ensure the smooth delivery of digital services.